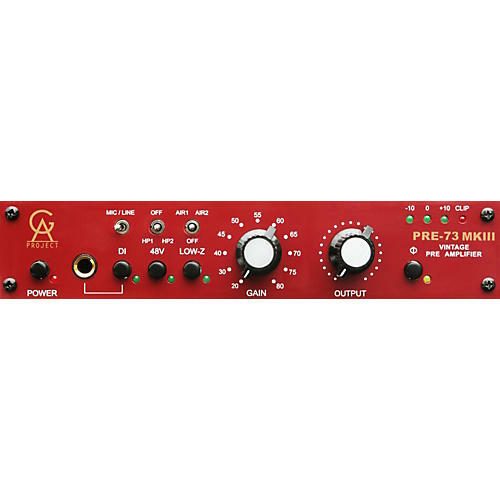 The PRE-73 MKIII is a one-channel vintage style microphone-, line and instrument preamplifier. The signal path uses only discrete components like resistors, capacitors and transistors. The input and output is transformer balanced, using two different transformers, each one optimized for its purpose. This is the way audio components were built before integrated circuits became available.